Interview with Dr. Sven Frederick Østerhus, M.D. from Denmark. 1. Dr. Sven Frederick, when I met you at the WCDN conference in Australia, you were delivering message about abortions performed in Scandinavian countries. 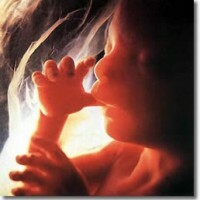 I was touched by that information and abortions are done all over the world. Statistically 45-50 millions of abortions are done yearly worldwide. It is very devastating picture. Did you ever think what is causing such a high percentage of abortions performed and what can help to stop those numbers to grow? Many people find it convenient to believe the lie, that there is no God, and therefore that there is no right or wrong. They believe this to relieve their own conscience, as they choose their own selfish motives instead of the life of a little human being. The Bible says, that in the last days the love of many shall wax cold. The fact that billions of children have been killed through abortion is clear evidence, that people are moving farther and farther away from God, and that Jesus is returning soon. I do believe, however, that there are still young women who are not really aware of what an abortion really is, and who will choose life for their child when they hear the truth. 2. You as a doctor, and from your experience, know what women go through after abortion. Deciding on abortion, many women do not know consequences after abortion. What is your advise for those who is reading this interview and making decision to have abortion or those who already went through that heartbreaking procedure? For those who wants to have an abortion: Don’t!!! You will regret it for the rest of your life! For those who already have had an abortion: Repent and ask God for forgiveness for your sin, and decide never to do it again. God has a plan for your life. Seek Him, and you will find peace for your soul. 3. I saw your video clip about abortion, it is very professional and educational against abortion, what do you think caused people to remove this clip from uTube several times? They were removed because people do not want to hear the bitter truth about abortion. Although some of the images in the music video are graphic, many other video clips on YouTube contain even harsher contents, without ever being flagged or removed. 4. As a Christian doctor, what do you think about birth control and if it is OK, what methods are acceptable for Christians? Personally, I only recommend barrier methods like condoms. This is because pills or other hormone containing contraceptives carry an increased risk of spontaneous abortions. The intrauterine device – a spiral- is completely out of the question, since this aborts the concepted fetus. 5. Can you give some tips for parents about raising children in today’s environment? Yes. Take responsibility for the whole well-being of your child. Raising children takes time and a lot of efforts. But through love, discipline and prayer, they will become ministers of God. You have to teach them to be led by the Spirit in all matters, or they will be led astray by the systems of this world. Do not trust the public schools, but find a good Christian school for your children, where they are taught to fear God. 6. What is your word of encouragement for all readers of e-magazine “Happy Family? Believe in God and repent of your sins. Jesus is returning soon. Now is the time to make sure you have oil on your lamps! Never lose hope, but believe in Him who has the power to deliver you. He who holds fast until the end shall be victorious. Doctors Against Abortion is a new organization whose purpose is to fight provoked abortion. From a medical point of view, we will spread the truth about what abortion really is, how it works and how abortion affects the people involved.